Videos have been part of the camp marketing arena since the age of VHS tapes. While the technology has changed dramatically, the core principal is the same- to capture the culture of your camp in an appealing light and generate more business. Internet video has boomed in the past several years. In the early days (way back 5 years ago), you could put your video online, but the quality was very poor. The future is here— you should have your video online and in high quality, for prospective families to watch at the click of a mouse. • Appeal to parents so they will entrust their child’s life with you. • Appeal to campers so they will think your camp is the coolest. • Appeal to potential staff members so they want to spend their summer at your camp regardless of pay. This will also make your videos more effective online. People’s internet attention span is very short. Only a small percentage of web surfers will watch a full 20 minute video. However, they may watch five 4-minute videos. Narration can be effective in some instances, but many times it sounds scripted and “sales-pitchy”. So instead of saying “We have beautiful facilities”, showing the beauty of your facilities can be more powerful without generic narration. Identify what you want to showcase in your video and see if you can effectively portray your message without the use of narrator. The exception? Morgan Freeman’s grandson goes to your camp. I’ve seen some very effective amateur videos used as marketing pieces. One example that works particularly well is candid parent testimonials— the parent’s recommendation becomes the focal point of the video. It’s a fine line to walk to be professional, yet campy. You want to portray your camp in the most appealing light possible. Amateur video usually can’t capture the stunning images of professionals. Editing video is art in itself, and you will have a totally different result based on your editor. It’s similar to commissioning someone to do a painting. How much should you spend on a camp video? On the high-end, some camps spend over 100K. On the other end, some camps buy a semi-pro camera and get a counselor to make it. The lifespan of a good video is 5-7 years. So when you get a quote, determine how many additional campers per year it will take to pay for your video. More importantly, get an idea of the earning potential from a good video. For medium-budget productions, it takes surprisingly few additional campers to get create a high-yielding marketing investment. If Geico can make car insurance fun, it should be a breeze to make camp exciting! Kids should watch your video over and over. Get them pumped for camp and begging their parents to let them go! Get the parents pumped up to give their child a summer of a lifetime and all the benefits associated with camp. 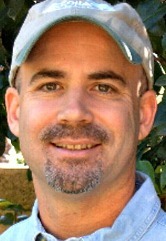 Brad Magill is a Maine camp product, starting a counselor, then boys campus head, and ultimately assistant director. He now combines is his passion for camping and video production to create promotional videos for camps. You can check out his website and samples at Cove Creek Productions. If these camp videos generate more businesses, they should definitely be considered. Thanks.